Following the tragic events of 1970, major pressure came upon the Normandy Auto Club to make improvements to make Rouen safer. The Government was very vocal, announcing that no racing would be allowed on the track until the necessary adjustments were made. The annual Grand Prix de Rouen weekend was in doubt up until one month before the race was scheduled to take place, but the two new chicanes that were built to slow the cars down got approval, and the organizers could relax. These chicanes were added on the straight after Scierie, and at the exit to Gresil. The chicanes, made of concrete, were further bolstered by building tyre walls, so drivers couldn’t simply take shortcuts over them. Also, more barriers were installed, and the existing ones were lowered. Overall though, it seemed that these changes were made to please the government, not to improve safety. No fewer than 37 cars arrived in Rouen for the 6th round of the European F2 Championship. 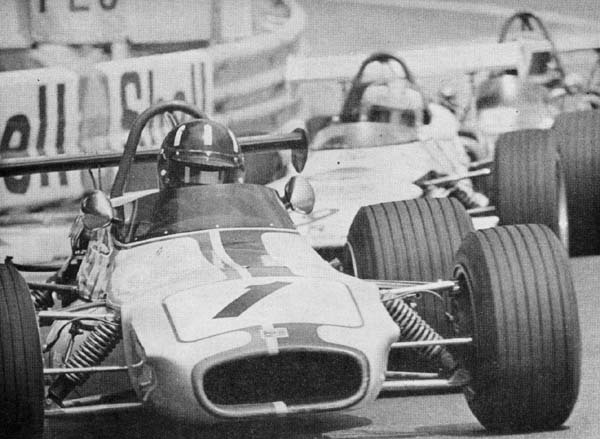 Only two of these were graded: Graham Hill in a Rondel Brabham BT36 and Jean-Pierre Beltoise in the Pygmee MDB16. 13 Marches arrived: Ronnie Peterson in his Smog 712M/7, Mike Beuttler in a Guthrie 712M/5, Niki Lauda in a brand new 712M/10, the works cars of Jean-Pierre Jassaud and Jean-Pierre Jarier, three Frank Williams-prepared 712Ms for Jean Max, Carlos Pace and Christian Ethuin, Tino and Vittorio Brambilla in their Ala d’Oro cars, John Cannon’s 712M/15, and the Eifelland cars of Dieter Quester and Hannelore Werner. Quester, as usual, had BMW power. There were plenty of Brabhams too, starting with the Rondel-entered BT36s of Tim Schenken and Bob Wollek. 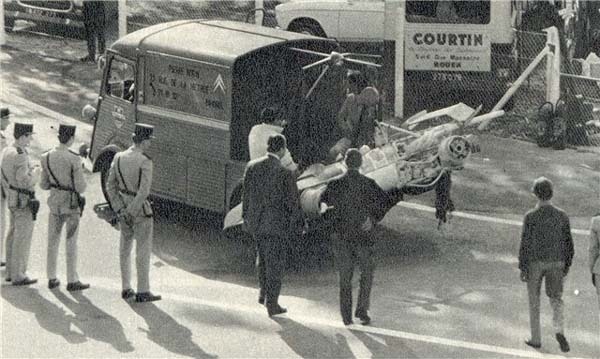 Wollek had made a fantastic recovery from the serious injuries he suffered in the tragic 1970 F3 race. Peter Westbury had the other new BT36. BT30s arrived for Carlos Reutemann, Carlos Ruesch, Silvio Moser, Jörg Dubler, John Watson, Jeremy Richardson and Lionel Noghes. The Tecnos were led by Championship leader François Cevert and the works duo of Jean-Pierre Jabouille and Patrick Depailler. Two 1970 Tecnos were entered for Nanni Galli and Arturo Merzario but Galli couldn’t make it so the car was entrusted to Claudio Franceschi for the weekend. There were five Lotuses, with Team LIRA arriving with 69s for Reine Wisell and new boy François Migault, Gerry Birrell with his example, Tetsu Ikuzawa in his 69 and Adam Potocki in a Hart-powered version. Completing the list of cars were two Chevron BC18s for François Mazet and Herve Bayard. Practice was on Thursday, for those that needed to qualify, and Friday, with Sunday being race day. There were 15 guaranteed starters, with 23 drivers fighting it out for the remaining 13 places on the 28-car grid. Mike Beuttler set out the time to beat on Thursday with a 2m 13.8s. With only a short time available to set a time, it was sink or swim, and those that were lucky were Jarier, Ikuzawa, Wollek, Migault, Franceschi, Mazet, the Brambilla brothers, Richardson, Ethuin, Jabouille and Pace. However, during the untimed session later on Thursday, two of these were to drop out, thereby letting Noghes and Max in. Wollek was the first to go, following up his massive shunt from the previous year with another, this time on the downhill run to Six Frères. Once again it wasn’t his fault, his car suffering a puncture, after which the tyre came off the rim. His car was hurled into the barriers, but this time he emerged unhurt, to quip that the car would be sent “back under guarantee”. Ethuin, meanwhile, ended his weekend by going straight ahead at Scierie and bending his car severely. Others who failed to qualify were Watson, Merzario, Werner, Ruesch and Bayard, who weren’t fast enough, Depailler, who had a metering belt break, Dubler, who had his clutch fail, and Potocki, who crashed at the second new chicane. The official Friday practice was dominated by Peterson, as expected, and he put in a quick 2m 11.7s time. Beuttler was impressive again in clocking 2m 12.4s, while Ikuzawa, Cevert, Franceschi and Migault all posted good times. The second session was the one everyone was waiting for, this would be the time when the grids would be sorted out. Nothing changed at the top however, Peterson comfortably fastest again on 2m 9.7s, a full second quicker than Lauda on 2m 10.7s, and Reutemann who clocked 2m 11.6s. Birrell clocked 2m 11.7s to be fourth fastest in the Lotus, ahead of Beuttler 0.2s slower, Quester, Fittipaldi and Cevert. Wisell was next, with Ikuzawa electing to stick with his morning time of 2m 12.8s. Schenken matched Ikuzawa’s time, and he was followed by Jassaud, Westbury and Hill. Both Franceschi and Migault struck engine problems and had to rely on their earlier times of 2m 13.3s and 13.5s respectively, T Brambilla managed a 13.7s, Pace 14.1s and Jabouille had to settle for his Thursday best of 14.1s after an engine failure. V Brambilla was next, followed by Max, Mazet, Richardson, Noghes, Cannon and Moser. Beltoise was having awful trouble with his Pygmee and could barely get it to go long enough to set a time, so he spent Saturday at the Alpine test track trying to get it sorted so it would be even slightly competitive for Sunday. Jarier was last after an engine problem caused him to miss all of practice. Peterson led the pack away from the start, Beuttler, Lauda, Wisell and Schenken close behind. Next came Fittipaldi, Westbury, Pace, T Brambilla, Beltoise, Cannon, Max and Watson. Richardson was forced into the pits straight away with a loose engine cover and re-emerged half a lap down. 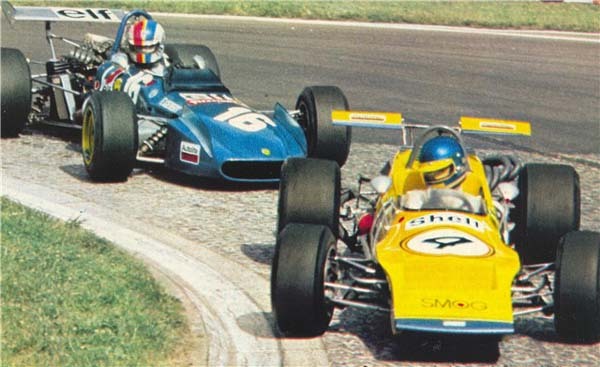 On the second lap Schenken got by Wisell, Beltoise improved to 11th, and Cannon became the first retirement with a severe engine vibration. Lauda now got by Beuttler and started to close on Peterson, and before long the two March drivers were off on their own private race. Beltoise meanwhile had rocketed up to 6th from his last-place grid spot, his Pygmee’s gremlins clearly now sorted. The battle at the front saw Lauda sweep by into the lead on lap 10 as Peterson’s March started misfiring in 5th gear, but it cleared its throat and allowed Peterson to re-take the lead two laps later. Beltoise kept up his great pace, and closed right up to Wisell at the halfway mark, and took him on lap 11. The unfortunate Beuttler then had his engine fail spectacularly, moving Schenken up to third, with Beltoise continuing to dazzle and closing fast. Further back, Max’s race and weekend came to an abrupt end when Westbury missed a gear at Nouveau Monde, the Frenchman left with nowhere to go except into the back of Westbury. He spun off and retired, his car too badly damaged to be fixed for the final. Peterson meanwhile held off Lauda, but only just, to take the heat, and there was a big cheer from the Partisan crowd when Beltoise got past Schenken at the second chicane to grab third. 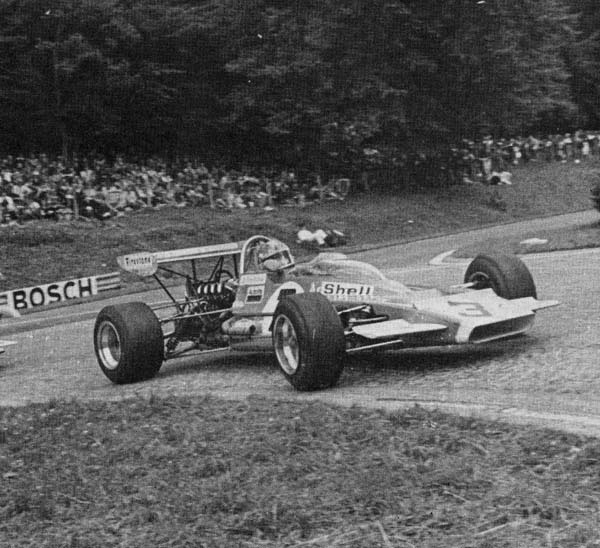 It had been a wonderful drive from Beltoise, more than making up for his practice misery. Schenken came home 4th, followed by Wisell, Westbury, Fittipaldi, Richardson, and Pace, a lap down. Brambilla and Watson were also well back. Lauda’s good day was dimmed somewhat as his March died on the slow-down lap, the Austrian forced to grab a ride home with Peterson. A broken throttle linkage was diagnosed, and repaired for the final. So the first five place-getters qualified for the final, along with the next four fastest timed drivers. These were Beuttler, Westbury, Max and Brambilla, but with Max’s car too badly damaged, Pace took his place as the next quickest. Reutemann made a brilliant start at the green, with Cevert in hot pursuit. Quester, Ikuzawa, Jassaud and Migault were next, with Birrell 7th after an appalling start. 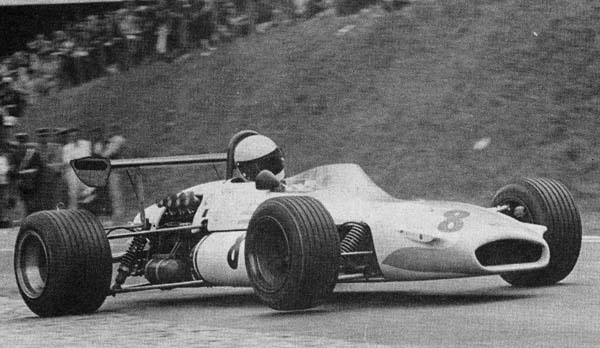 Mazet, Hill, Noghes, Brambilla, Moser and Jarier rounded out the field, Jarier’s weekend of misery being compounded on lap 1 by an ignition problem which cost him six laps in the pits. Meanwhile Moser made the first of two stops to have an engine problem checked. Cevert got past Reutemann on lap 3 and started to pull away, while Quester started to struggle with oversteer and fell into the clutches of Ikuzawa, Jassaud and Birrell. Mazet stopped on the track with a fuel line issue, but managed to make temporary repairs by hand and got back to the pits to have it properly fixed. By half distance Cevert was well clear of Reutemann, with Quester holding Birrell at bay in third. Jassaud was next, ahead of Hill and Migault. Ikuzawa’s good showing was being spoiled by a sick-sounding engine, and he dropped back to 8th. There was a nasty incident soon afterwards when Quester’s car picked up a big piece of tarmac and fired it through Birrell’s windscreen and then onto his helmet. Thankfully, Birrell wasn’t hurt and both were able to continue their dice. The rest of the race petered out somewhat, Cevert taking a comfortable win from Reutemann, with Quester holding on for third ahead of Birrell. Hill took 5th, passing Jassaud when the French driver spun after he lost 1st gear. 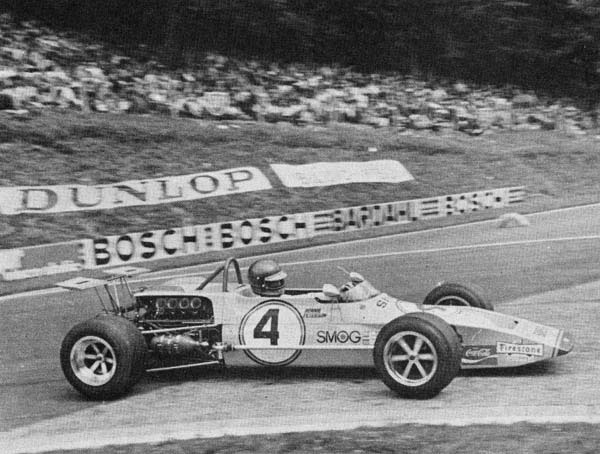 Migault was next, followed by Noghes, Jarier and Mazet, with Ikuzawa failing to finish after his engine seized on the last lap. Ikuzawa was named first reserve, but protested against Jarier when it became apparent that the Frenchman’s car was worked on in the paddock during the race. The appeal was upheld, and Ikuzawa was awarded a place in the final. Peterson, Cevert and Reutemann got away best at the green, with Lauda and Quester just behind. Quester made a big attempt to get past Lauda on the way to the hairpin but couldn’t quite manage it, while Migault dropped back to last after a spin at Nouveau Monde. At the end of lap 1 Peterson had the lead from Cevert, Quester, Beltoise, Schenken and Lauda. Westbury retired with a broken oil pipe while in 6th, and Jassaud and Pace pitted. On lap 7 Cevert’s wing bent, but his pace continued to be good, and he hit the front on lap 9. Lap 12 saw the end of his fine drive however, when he crashed heavily at Sanson, leaving Peterson with a comfortable lead over Reutemann. Pace emerged from the pits to do as best he could two laps down, while Ikuzawa’s engine finally cried enough on lap 13. With Peterson cruising at the front, attention turned to the mid-field battles. 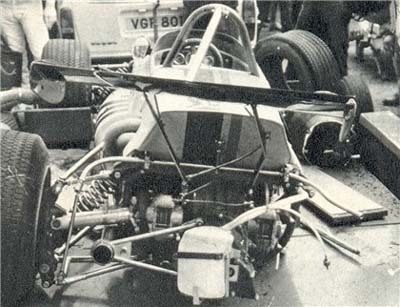 Mazet had a coming together with Wisell at Nouveau Monde, forcing him into the pits with a broken oil radiator; he resumed three laps down, but Wisell was not so lucky, retiring with a broken shock absorber. 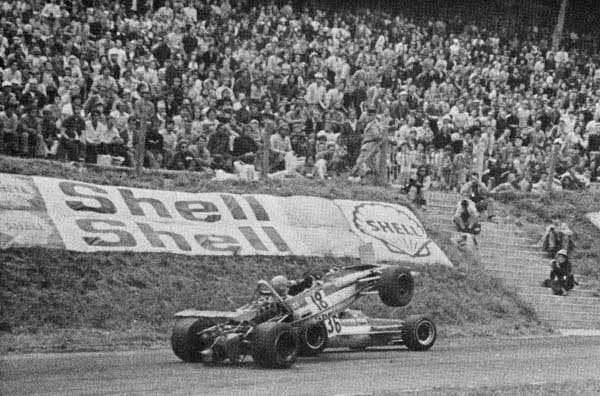 Schenken got past Quester, Richardson was forced to retire when his engine overheated, Brambilla succumbed to engine failure and Birrell’s engine gave up on lap 18. On lap 20 Reutemann’s throttle link broke, forcing him to take the chicanes flat as his throttle stuck wide open. This let Schenken, Quester, Hill and Lauda through, while Beltoise engine failed on lap 20. Then Schenken dropped out, his engine dropping a valve just as he began to get away from Quester. Peterson comfortably reeled off the closing laps to record an easy win, Quester holding on for second ahead of Hill. Lauda was next, followed by Migault, Reutemann and Mazet. 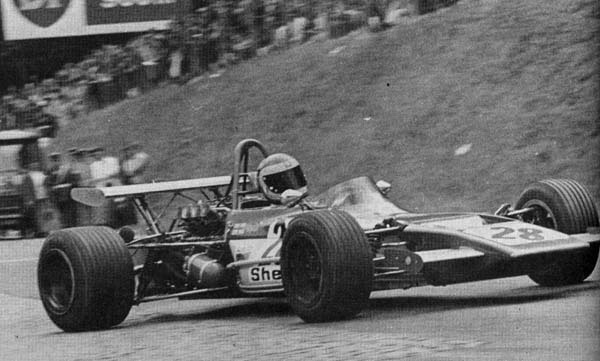 The last two were later disqualified for cutting the chicanes, thereby allowing Schenken to get a point by being classified 6th. 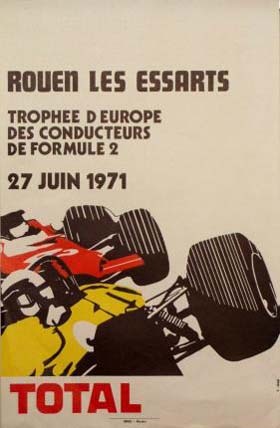 Following the previous year’s carnage, no F3 race was held for 1971. 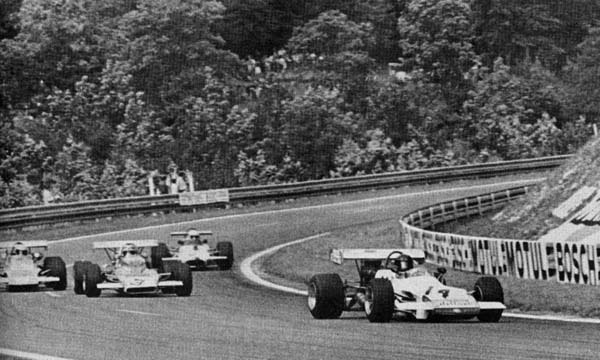 This was the final time the full-length track would be used, as major changes were made for the 1972 event, which allowed the F3 cars to make a re-appearance.